Another headline that Republicans should be ashamed of – a new report from the U.S. Department of Education shows that Arizona has been spending more on inmates than on students for about 30 years. 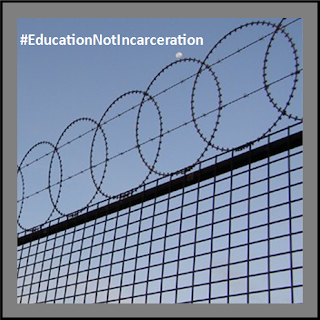 In fact, Arizona spent only $3,573 per student in K-12 schools but invested $23,441 for every inmate in 2015. This seems to be more evidence that Republican leadership in Arizona is more focused on incarceration than on education. Even after voters approved Prop. 123, ensuring that public schools get some of the money Republicans illegally withheld from them, the money being distributed to schools will not be enough to pull per pupil spending in Arizona up from the bottom of the barrel nationally. It will still leave schools short $1.2 billion each year. And it will do very little to bridge the enormous gap between student and prisoner funding. The governor has promised over and over again that Prop. 123 was a first step, but he’s failed to offer any information about what his next step is. The governor and Republican leadership at the Capitol must listen to what Arizonans are saying over and over – we want #EducationNotIncarceration. House Democrats will continue to push this as a priority until our students receive the resources needed to ensure they get a quality education.